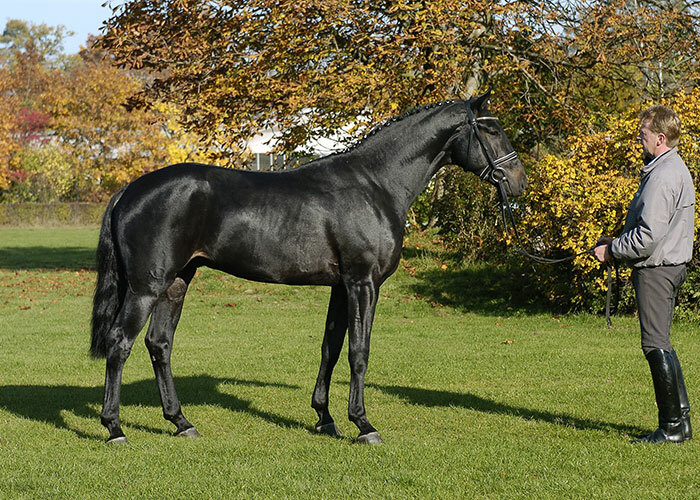 Embassy 111 is sired by the much admired young stallion Escudo 1 who comes from the Espri, Eiger blooldline which is known to be able to breed progeny for both disciplines and is a stallion of great quality. He now has 26 licensed sons in Hanover and Celle stands four of them. See more information about Escudo 1 under his own section. 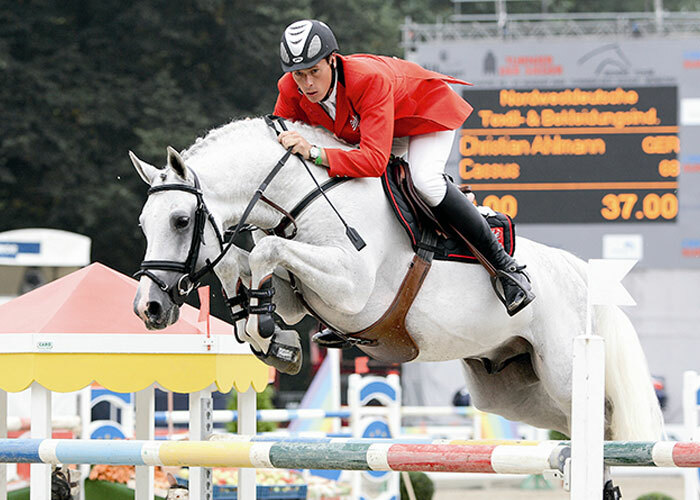 Silvio 1 has produced absolutely top foals in series which frequently enriched the auction podium in Vechta. 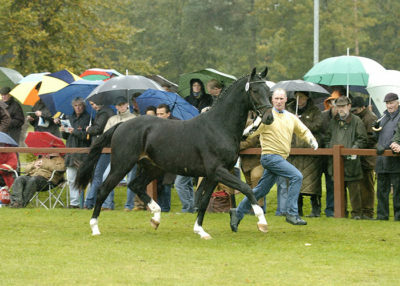 One of the climaxes of Silvio 1’s young siring career was the 1995 Oldenburg stallion approval where he presented the vice-champion Sir Lui and additional premium stallion Sesostres as well as Sinatra Gold. 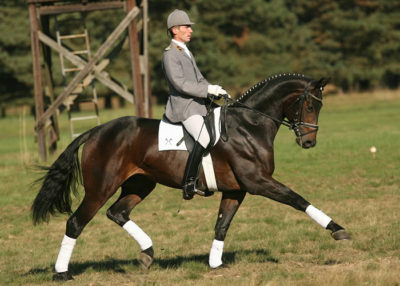 In 1996 his daughter Tettina was overall champion of the European Mare Championships in Brussels, one of numerous daughters awarded with the state premium. Sergeant Pepper and Sir Shutterfly are both by Silvio which stood at at PSI. Silvio is seen in many successful performance horse pedigrees. Embassy 111 received the following scores at his performance test: 8 character, 7 temperament, 8 willingness, 8 conformation, 7.3 trot, 8.2 canter, 7.5 walk, 8 rideability, 7.9 jumping ability. In 2006 he was systematically trained in jumping and had wins and high placing in tests for young jumpers at A and L level. He has 2 state premium mares, 6 auction horses.